Thanks to Sink Safe for providing me with a sample in exchange for my review. All thoughts are my own. Do you have little helpers at home? My kids are ages 7 and 2, and both love to help out at home. When I was growing up, helping with chores was just what we did. 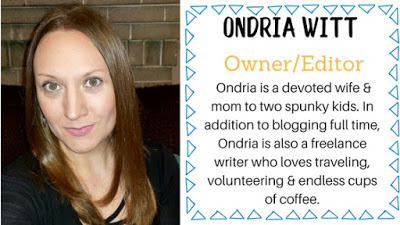 I'm raising my two kiddos to know how to clean up after themselves and offer help to others. Not all chores are appropriate for kids of such young ages. For instance, I would never ask my seven-year-old to clean the bathroom, but putting his dishes in the sink after meals and snacks is a safe and easy thing for him to do by himself. MBP Contributor Karla just wrote a great piece on age appropriate chores for kids. If you missed that one, be sure to check it out! When my kids help with chores at home, the number one question I have to ask myself is- 'Is it safe?' Bean (Baby S) loves to help me sweep, and loves to wipe tables and other surfaces off (with water). Those are safe, easy things that she can help me with at a very young age. Big Bro doesn't love helping with chores, but he doesn't complain too much when asked to help with the laundry, watering the potted plants, or putting dishes in the sink. He really is a great kid with a sweet and helpful disposition. The more I thought about B putting his dishes into the sink, the more I realized a hidden danger... sharp knives lying in the sink, which he could cut himself on. 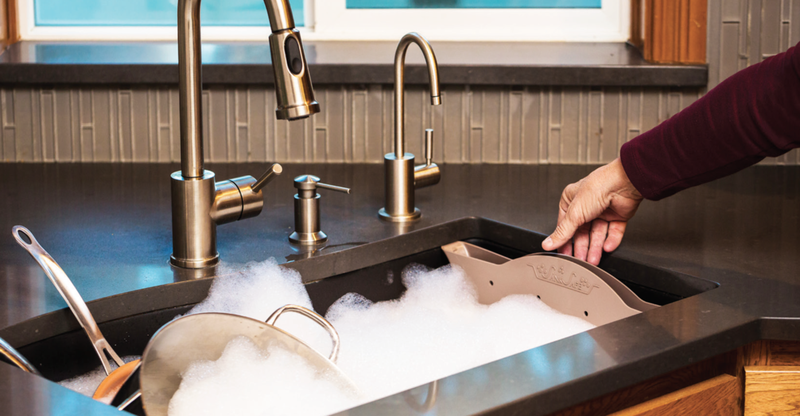 Sink Safe fits right into your kitchen sink, keeping sharp knives out of reach. Keeping my kids safe is any parent or care giver's #1 priority, and I have a tendency to beat myself up when accidents happen on my watch. No parent wants to see their child hurt, and Sink Safe is helping to keep kids safe in the kitchen. It's a busy weeknight and you (mom or dad) are scrambling, trying to cook dinner, help with homework, keep a toddler entertained, and think about what they need to get ready for the following day. You're in the middle of meal prep, chop veggies or butterfly chicken breasts with a sharp chef's knife, and then you hear your child calling you, asking for help with something. Mindlessly, you walk into the next room. Meanwhile, your toddler wanders into the kitchen & lays eyes on that sharp, shiny knife you left sitting on the countertop. There's a 50/50 chance that your little one will leave it alone. No parent wants to make a careless mistake such as this, but we're all human. An accident can happen in the blink of an eye. 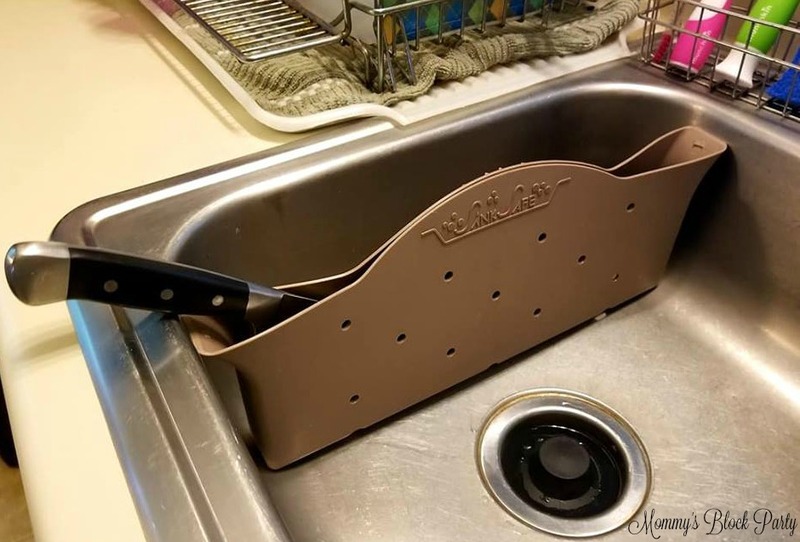 I was really excited to try out Sink Safe, a brand new knife caddy which offers a convenient place to store your kitchen knives out of harm's way between cooking and clean-up. The unique design allows your sudsy water to seep in and soak your knives safely until you're ready to put them away or use them again. 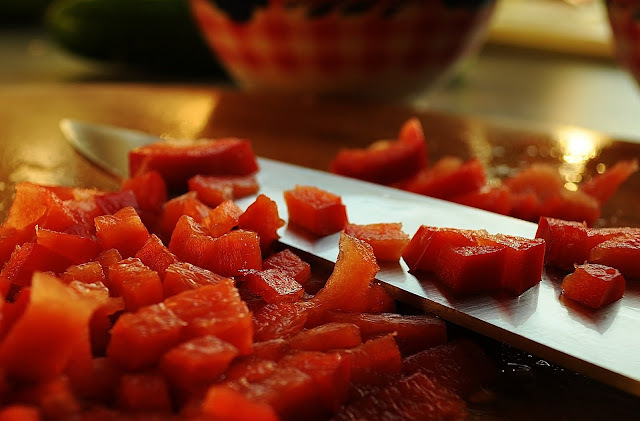 My tomato-slicing knife is out of my kids' reach in the sink, thanks to Sink Safe. 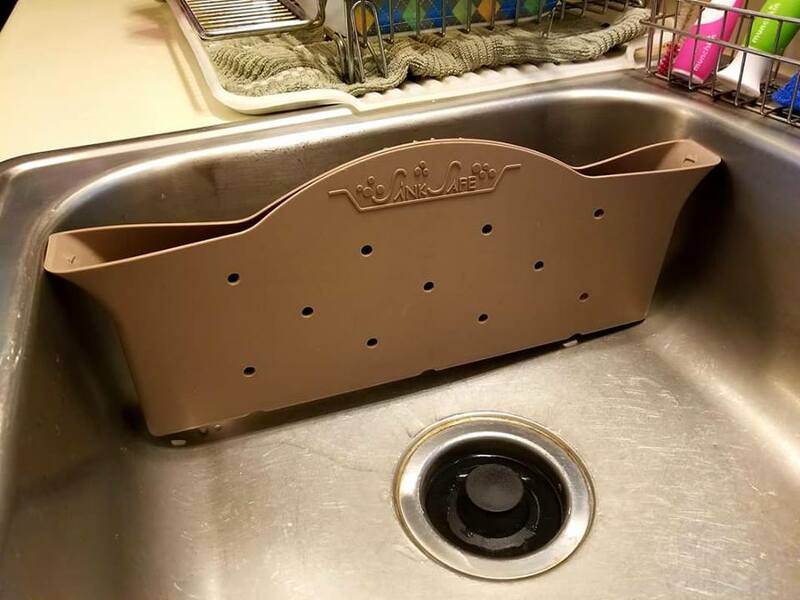 Sink Safe fits right into your sink. No suction cups or clips. It sits upright, and you can leave it in the sink for easy and daily use. It's a handy little pocket that keeps knives out of sight and out of reach. It's even helpful to me because my hubby is notorious for leaving sharp knives in the bottom of the sink and then piling other pots, pans, dishes on top. 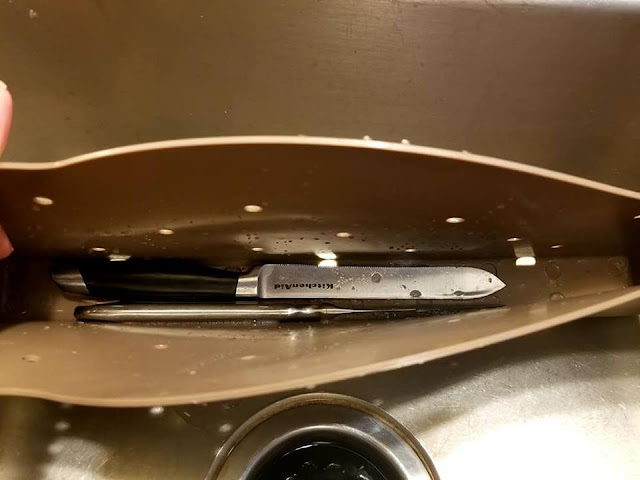 When I go to wash dishes or load the dishwasher- surprise... there are knives hiding, and I don't always know that they're there, waiting for me to find them. Sink Safe gives us a quick place to drop paring knives into throughout the day and gives us a safe place to store and soak chef's knives, pizza cutters, etc., so they're out of reach when our kids place their cups and plates into the sink. Genius! Not only that, it keeps us from placing our expensive knives in the dishwasher, which is really a no-no for cutlery! Sink Safe is a great gift idea! It just might be my new go-to bridal shower gift. It's smart and will keep cutlery looking great while keeping hands of all ages safe from nicks and cuts. Learn more about Sink Safe or where to purchase over on their website. Connect with Sink Safe on Facebook. Be sure to check out Sink Safe in our 2018 Back to School Guide! How would Sink Safe be beneficial to you? Tell us in the comments!